Quick Dryness Not Only Absorbs Sweat Quickly But Also Dry It Instantaneously, The Best Fit For Your Activities Quick Absorption In Short Time, During Your Exercise, It Gives You The Comfortable Fit And, Helps Your Workout.Air Permeability Due To Light Material, This Provides The Best Air Permeability Which Helps You To Absorbs And Dry Sweat Quickly. Most Important Ultimate UV Protection.Unisex One Size Extremely Elastic Material. Make Comfortable Feel. Using Ice Silk And High Elastic Fiber Seamless Weaving,and Nano-ice Processing,wear More Skin-friendly,comfortable.Size: 42cm High And 10cm Wide. Compression Fabric Reduces Soreness, Cramping And Fatigue, Protects Arms From Cuts, Scratches,and Sun Burns. 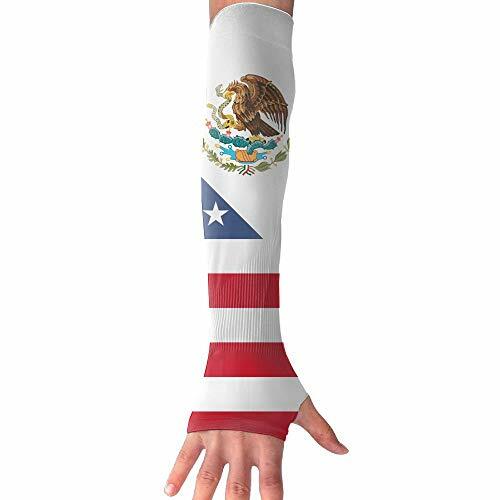 The Arm Sleeve Provides UV Protection Of UPF 30+. Special Design: High Tech 3D Weaving And Thumb Hole Let You Feel More Comfortable And Look More Slim. Shipping Time: Fast Shipping In 7-14 Days Via USPS. If you have any questions about this product by RUNNING BEAN, contact us by completing and submitting the form below. If you are looking for a specif part number, please include it with your message.